The Wicked GT 2018 getting closer! Some key dates to remember! Registration continues for the 4th Annual Wicked GT 2018! If you’re interested in signing up and being apart of one of the best GTs in the Central USA then make sure that you make it out! The Wicked GT will be even bigger and better this year and we are looking to break attendance records! Currently we have 24 generals and there’s bound to be several more sign up. Let’s continue on with the 2018 GT Circuit! The road continues right through the Wicked GT! This year the Wicked GT will take place on the weekend of May 19-20, 2018. The army size is 4,500 points! There’s a few important dates coming up that I’d like to make everybody aware of, just in case you’ve forgotten!! April 9th: After this date, refunds will be unavailable. Please understand that after this date the majority of the funds for the Wicked GT have already been spent so I will not be able to issue refunds. Thanks for your understanding on this. April 23rd: The cost of the 4th annual Wicked GT increases to $60 so make sure and get signed up before this date so you won’t have to pay the higher price! May 2nd: All Army Lists are due!! I plan to use the 2.0 beta rules and if there are any major changes between now and this date I’ll let everybody know what the path forward will be. Scenarios: Wicked GT scenarios will be released soon! Make sure to check back to catch a glimpse of them! Wicked GT Bar: If you’ve ever been to the Wicked GT then you’ll know all about the bar that we have available Friday evening, all day Saturday, and even into Sunday! The booze will last until it’s gone. Tips are always appreciated! Pizza, Beer, and Video Games: New this year we’ll have TVs set up and will have some old school Nintendo games hooked up and ready to play. Grab a slice and a beer and let’s get together and talk smack while playing old school video greats like Mario Kart, Super Smash Bros, and more! For anybody that wants to stick around and have a good time then feel free to do so! We’ll be partying late into the evening! If you’d like to sign up then simply send an email to thewickedgt@gmail.com with your name, club (if any), and army (if you know) and we’ll get you signed up. 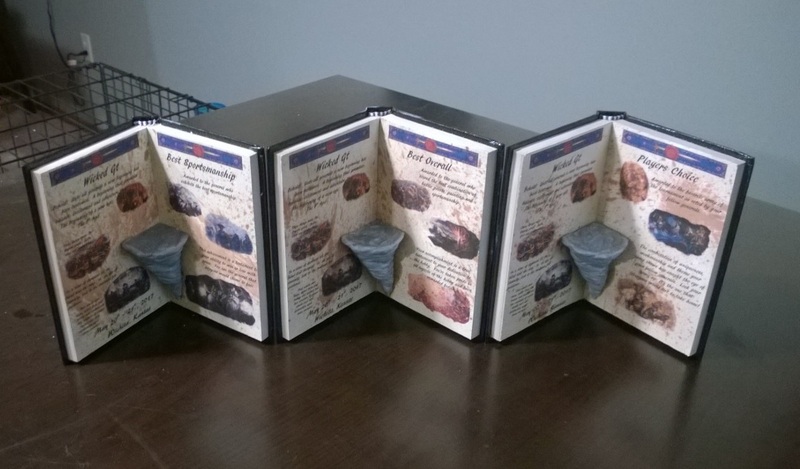 This year the cost will be $55 each player and you can PayPal to the same email address, thewickedgt@gmail.com. Let’s get a great turnout this year and kickoff the 2018 GT Circuit right! See you there!! The Wicked GT 2018 Registration continues!! May 19-20, 2018! Don’t miss out! 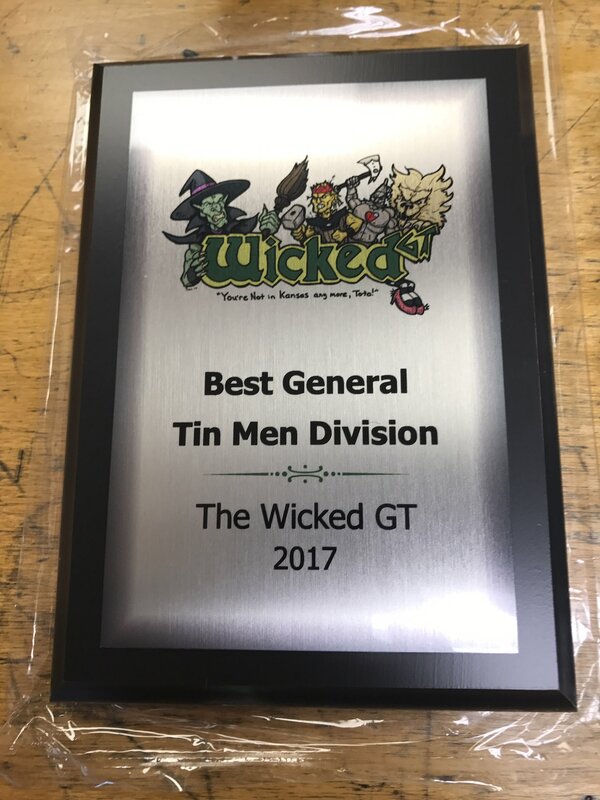 Registration continues for the 4th Annual Wicked GT 2018! If you’re interested in signing up and being apart of one of the best GTs in the Central USA then make sure that you make it out! The Wicked GT will be even bigger and better this year and we are looking to break attendance records! Currently we have 14 generals and there’s bound to be several more sign up. Please spread the word and let’s make this year the biggest year yet! New this year is Pizza and Video Games on Saturday evening! That’s right! After Round 3 on Saturday, we’ll be ordering pizza and setting up video game classics such as Super Mario Kart, Super Smash Bros., and new games like Overcooked and Arms! This gives everybody a chance to stick around and drink a few beers, eat some pizza, and gives you something to do instead of going out on the town that you’re unfamiliar with. If you’re interested just let me know and we’ll start to get a headcount. It’s going to be a great evening of drinking, chowing down, and smack talking while playing these awesome old school games!!! The Wicked GT 2018 Registration is now open!! May 19-20, 2018! The 4th Annual Wicked GT 2018 Registration is now open!! If you’re interested in signing up and being apart of one of the best GTs in the Central USA then make sure that you make it out! The Wicked GT will be even bigger and better this year and we are looking to break attendance records! This year the Wicked GT will take place on the weekend of May 19-20, 2018. Tons of prizes and giveaways! 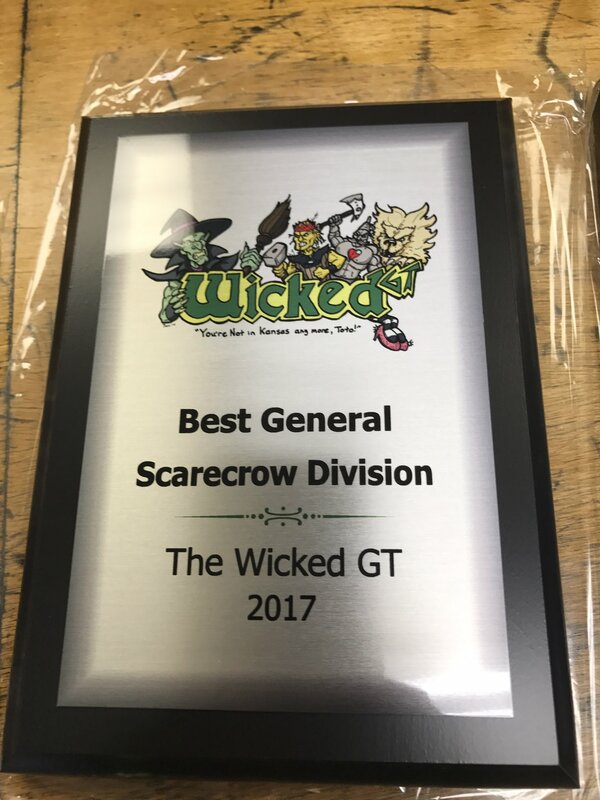 The Wicked GT 2017: 3rd Annual Wicked GT Results!!! The 3rd annual Wicked GT was back and better than ever in all its glory! We had a total of 24 generals come to do battle all weekend long and there was plenty of hard fought battles throughout the weekend. We seen several types of armies, some with absolutely killer conversions and some others that were well themed and stood out all the way across the room! We had gamers from Ohio all the way down to Texas. In all, we had a great turnout and the people that showed up definitely made the Wicked GT one of the best GTs around! Following the momentum of the Red River Rumble GT in OKC this past February, the Wicked GT continued on with the steam and will carry us on through this year with the Maymen in the Mountains GT in Denver, CO later this year! 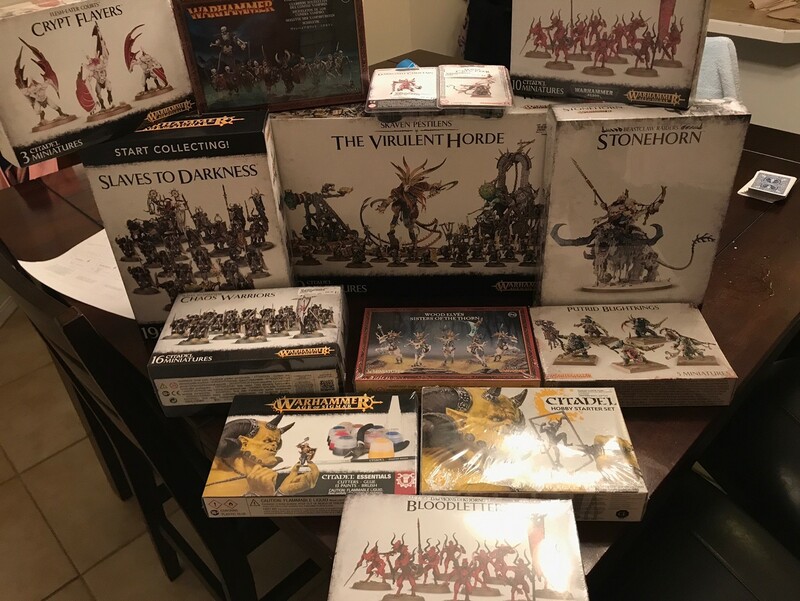 It was great to have such great support from all our gamers out there and to help put the Central Region on the map and represent the 9th Age! We are here to stay!! 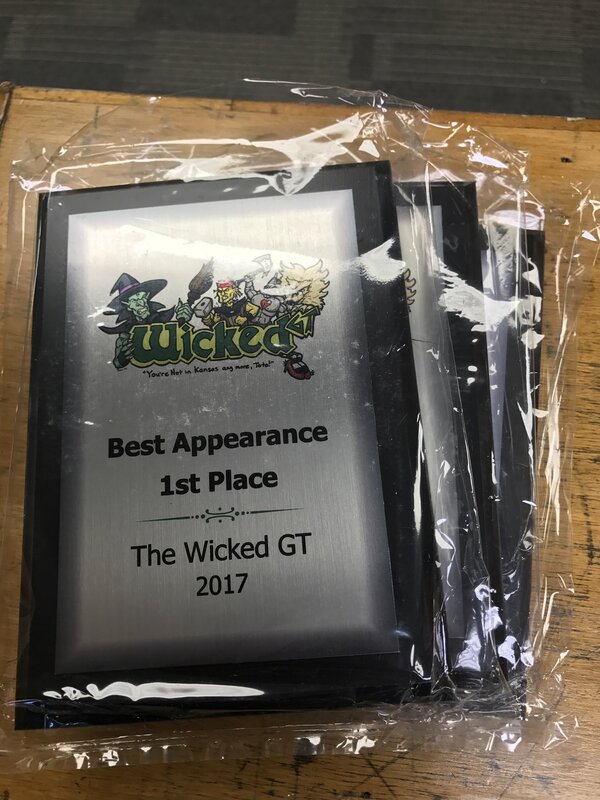 Congratulations to all of our winners and again, a thank you to everybody who made the trip and made the Wicked GT successful. In addition, we’d like to thank our 3 sponsors – Hero Complex, Wizard’s Asylum, and Hobbytown USA, all located in Wichita, Kansas. They all provided various items that we used for prize support throughout the entire and simply wouldn’t be able to do so had they not so generously donated to our cause! To visit their websites, please visit the Sponsors page! And finally, congratulations to all of our winners! Make sure to visit the Results Page to see various pictures from the weekend! 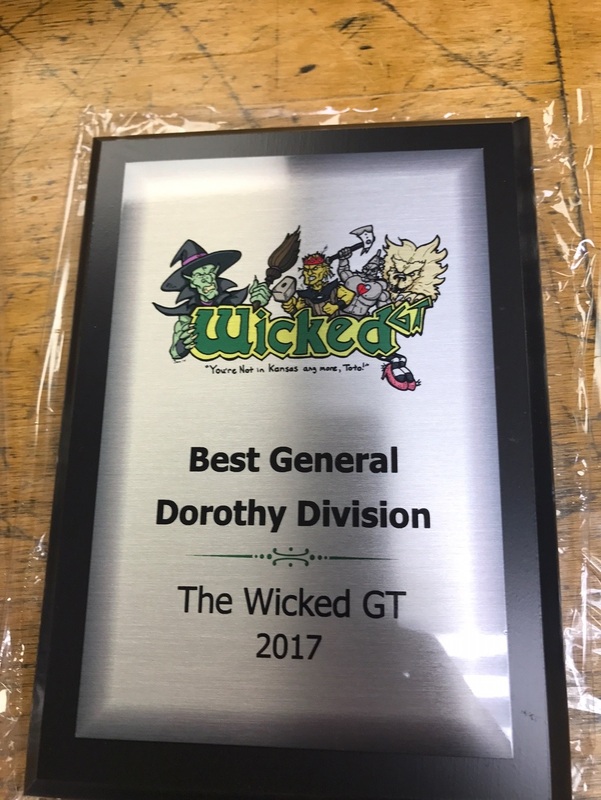 Congrats to all and thank you again to everybody for making the 3rd Annual Wicked GT a success! We will definitely be back next year for our 4th year in a row!! The Wicked GT 2017: Round 1 Match-ups & Best General Categories! Wicked GT is finally here! It’s here! The 3rd annual Wicked GT is finally here! Registration opens around 5:00 PM(ish) tonight so if you’re in town and want to get registered then come on by. Remember that in addition to registering, we will be setting up the gaming hall, getting the bar up and ready to serve drinks, and there will be tables for open gaming / board games / cards / whatever so if you wanna stop by just to hang out then come on by! You know that this year we have separated out all of the Best General categories, right? We’ve now broken down all 4 categories and here they are! See where you rank! Don’t forget that you’ll be competing for Best General in your respective category against the other players that are in the same category and after each Round we’ll post the most up-to-date rankings so you can see where you stand! Here they are! And without further adieu, here’s the Round 1 Matchups!!! See everybody tomorrow! Let’s make it great!! Please continue to spread the word and make this Wicked GT the best one yet! If you have any questions please feel free to visit our forums (click here) or send an email to the Wicked GT (thewickedgt@gmail.com). The Wicked GT 2017: 2 days away! 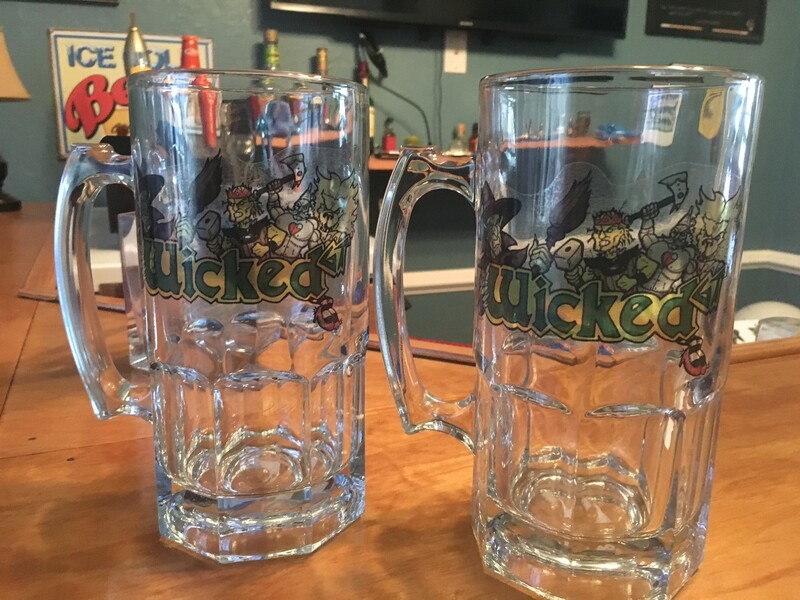 Custom mugs, SWAG, and more! We are only 2 days away from the 3rd Annual Wicked GT!!!! We have a couple items to share with all of you! Here’s a pic of the SWAG that we’ll be handing out throughout the weekend to all the winners! Don’t forget that we have 10 categories of winners so you have a great chance to walk away with something! And we’ve got some custom made 25 0z. mugs to hold your beer throughout the weekend! These are stickers but they are vinyl backed and have been strategically placed on the front of the mug! Recommended to hand wash the mugs, not put into the dishwasher as the heat will make the sticker come off. You can see the Wicked GT logo on one side and the “You’re Not in Kansas anymore, Dorothy!” quote on the other side! These mugs are going for $10 each so make sure you get yours today. Believe me when I say that the stock is limited in these, so make sure to get yours as soon as Friday gets here! 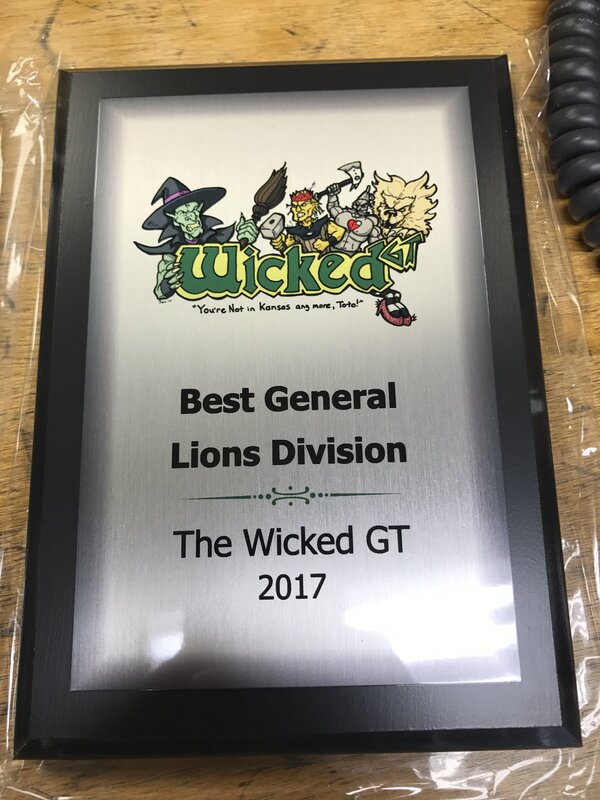 The Wicked GT 2017: A few trophy pics and Army lists due today!! The “Who’s In” webpage has been updated to show who all has made their payments and who hasn’t. If you haven’t yet done so, please make your payments as soon as possible so that we can start paying off the items that need to be paid! Make your payments, please! May 12: All Army Lists are due today! Please get your lists in. You can email them to thewickedgt@gmail.com. Here’s a few pics of the finished trophies! !